The emoji’s ears noticeably stick out a little bit (or a lot). Distribution: Exclusive Unlock. 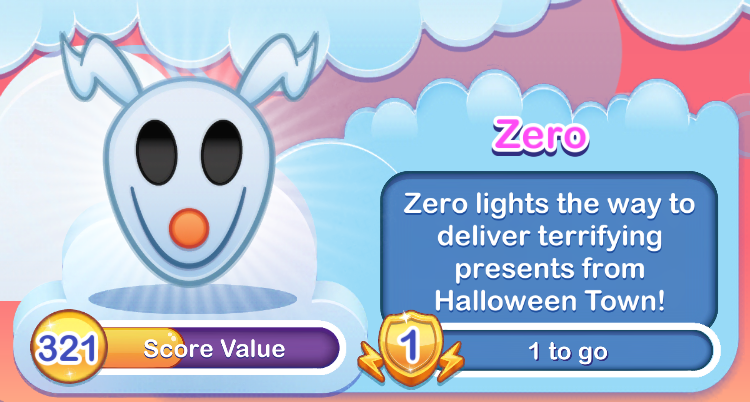 Win Thumper or get him from the diamond box to add him to the Silver Box. 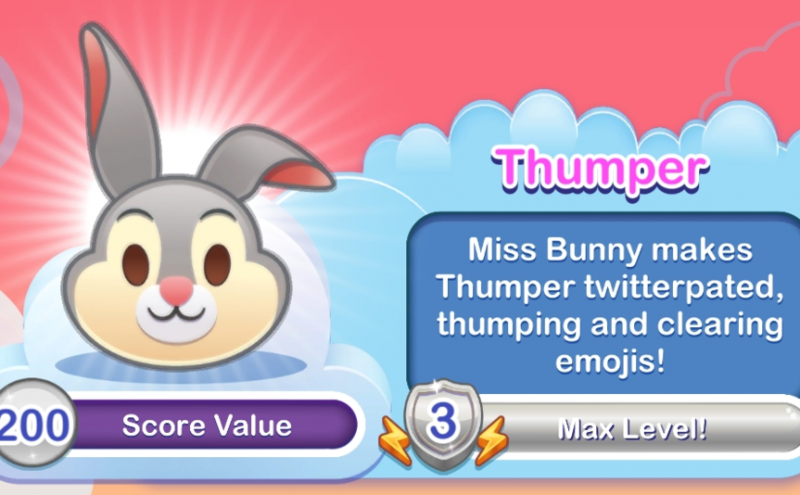 Miss Bunny makes Thumper twitterpated, thumping and clearing emojis! Nearly everybody gets twitterpated in the springtime. You’re walking along, minding your own business. You’re looking neither to the left, nor to the right, when all of a sudden, you run smack into a pretty face. Woo-woo! You begin to get weak in the knees. Your head’s in a whirl. And then you feel light as a feather; and before you know it, you’re walking on air. And then you know what? You’re knocked for a loop, and you completely lose your head! Throws her wedding bouquet. Cleared bouquets bloom into powerups! Absence makes the heart grow fonder. Or forgetful. But not for the beautiful Maid Marian. She waits patiently for her true love, Robin Hood, to return and sweep her off her feet. Why, she can just imagine at their wedding, throwing the bouquet to all of the adoring emojis! The flowers will bloom into powerups when nearby emojis are cleared. It will be so romantic! 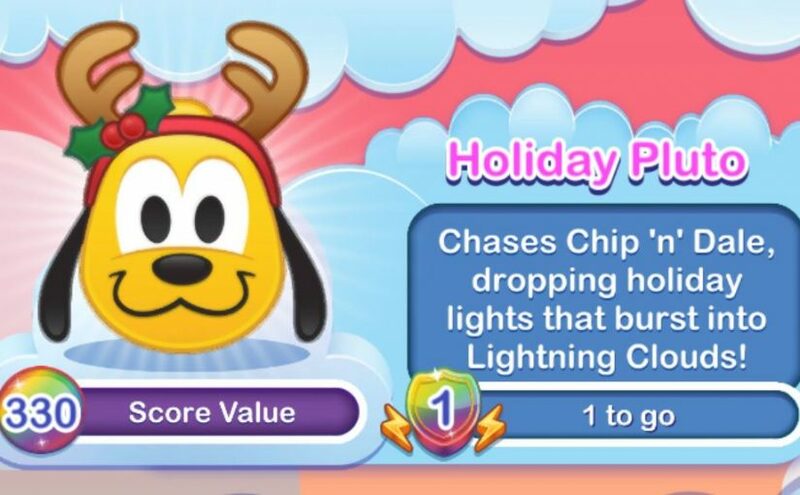 Chases Chip ‘n’ Dale, dropping holdiay lights that burst into Lightning Clouds! Pluto’s excitement to chase those pesky chipmunks may cause chaos with the holiday decorations. Tap to smash windows and clear emojis. 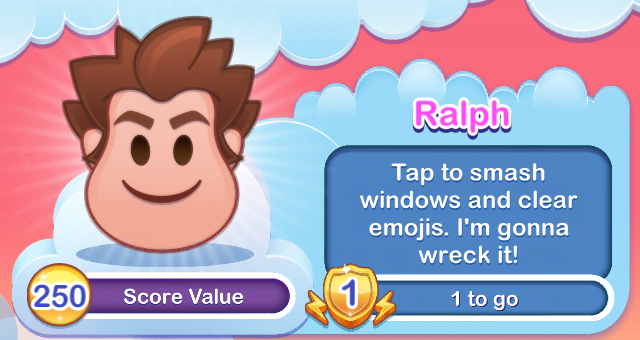 I’m gonna wreck it! Tap the glass panes, and become a pain to the good emojis of Nicelander. No cuts, no butts, no coconuts? Start churnin’ butter and put on your church shoes, little sister, cuz we’re about to blast off! 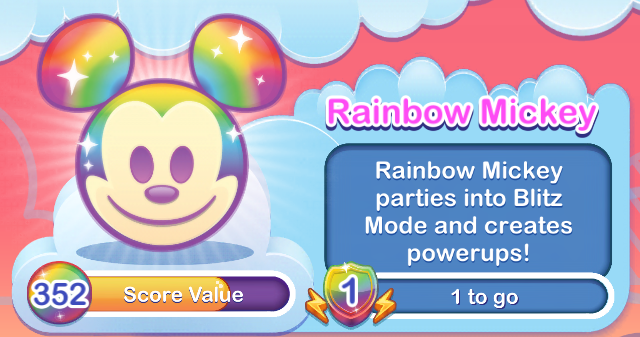 Rainbow Mickey parties into Blitz Mode and creates powerups! 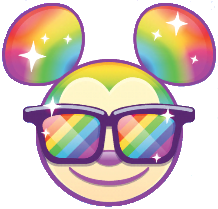 Drop the disco ball and put on your party glasses, because Rainbow Mickey is celebrating his birthday in style! He’s got party prizes for his guests too – powerups and instant blitz mode! Tap to jump and save Woody from the snake! Ride like the wind, Bullseye! 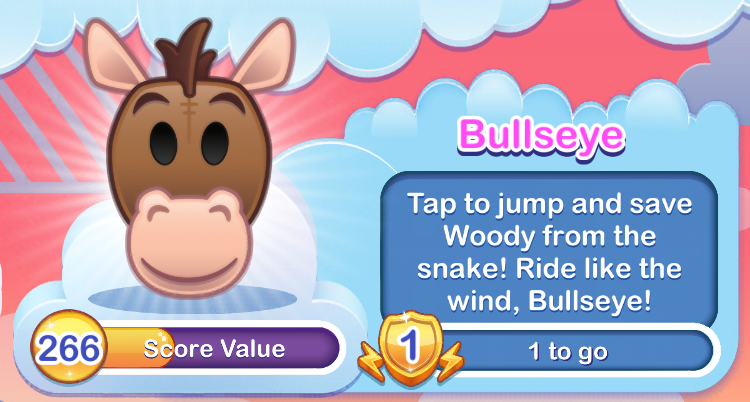 Like in an old episode of Woody’s Roundup, touch the screen to help Bullseye trot up the mountainside. Avoid getting bit the by snake as you climb. The Roundup Gang will prosper once again! 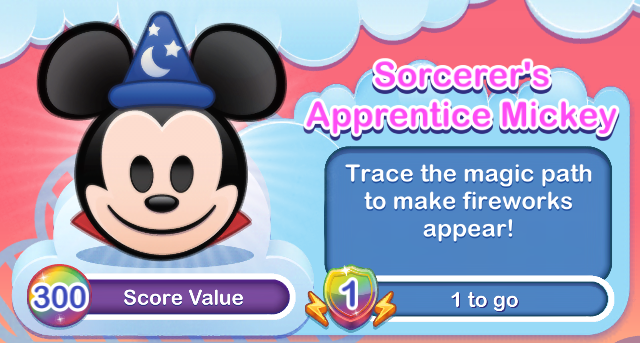 Trace the magic path to make fireworks appear! 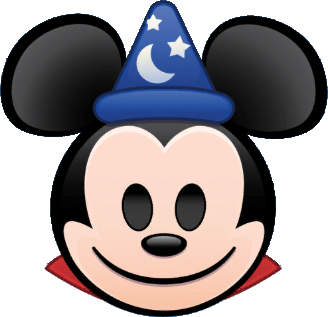 The stars are out, and Mickey is ready to make some fireworks magic! Trace the pattern before time runs out to get the biggest bang out of this emoji’s power! Tap to roar and clear nearby emojis! Nice kitty! 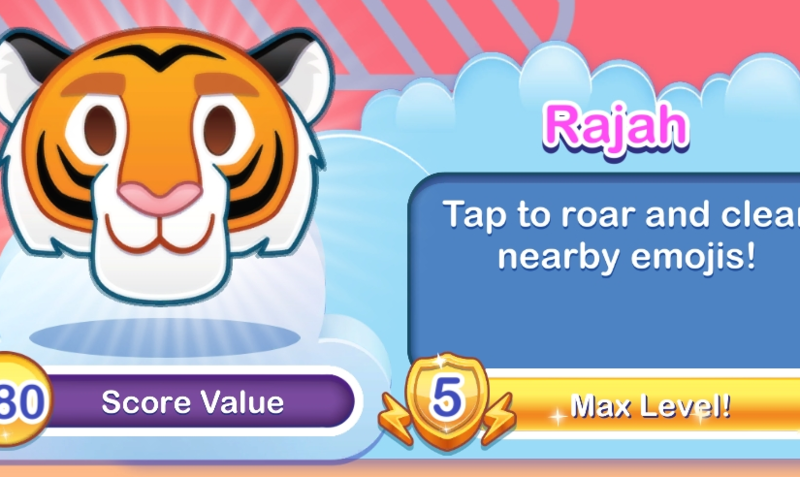 Jasmine‘s pet tiger scares away potential suitors (and emojis).